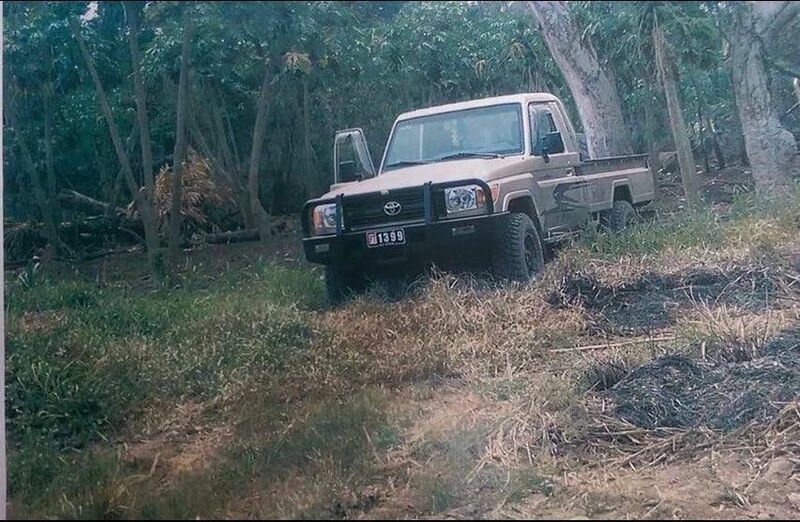 The vehicle purchased by CCECC as seen in this 2017 photo on Tanna. Namuri was convicted of three counts of financial advantage by deception, contrary to section 130 (b) and one count of theft against section 122 and 125 (a) of the Penal Code Act [CAP 135]. He was also convicted on two counts of defrauding Customs revenue, contrary to section 174 and one count of offence in relation to use of goods, contrary to section 172 of the Customs Act No. 7 of 2013. In addition, the former Director admitted one count of carrying on business without a business licence contrary to 2 (1) (2) of the business licence Act [CAP 149]. He will be tried on three counts of money laundering, pursuant to section 11 (1) and (2) of the Proceeds of Crime Act [CAP 284]. Affidavits presented before the court revealed that on July 12, 2013, the China Engineering Construction Corporation (CCECC) entered into a contractual agreement with the Government of Vanuatu to carry out road rehabilitation and the Public Works Department (PWD) was given the responsibility of supervising and monitoring the works on behalf of the government. 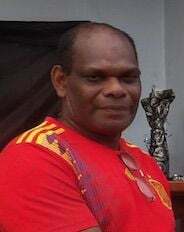 Namuri was the Director of the Public Works at the time and was responsible for proper management and monitoring of CCECC works that were carried out in Tanna. After work commenced, it became apparent that there were insufficient number of vehicles available to assist PWD to carry out the supervision work thus they requested CCECC to assist the PWD officers on Tanna. Liu Tao from CCECC agreed to purchase a truck to help PWD in Tanna but it was to be returned at the end of the project. Prosecution claimed CCECC had no reason to question the liability and Namuri’s truthfulness and had confidence and faith the defendant will manage the use of the vehicle appropriately. In August 21, 2014, Yang Song, the CCECC Managing Director purchased a Toyota Land Cruiser LC79 single cab for the Tafea rehabilitation project. CCECC applied for a duty-free exemption from the Customs Department. It was granted, the Customs letter was forwarded to Asco Motors and the vehicle was purchased at more than VT2.4 million. On December 16, 2014, Asco requested Transam Pacific, a Customs Broker to lodge a custom declaration for the vehicle before it was released to CCECC and they delivered the vehicle to PWD. Prosecution alleged Namuri immediately obtained possession of the vehicle and started using it as his own. Prosecutor Simcha Blessing alleged Namuri drove the vehicle to work, kept it at his house in Port Vila and that he withheld the vehicle from PWD. Mr Blessing said the officers in Port Vila knew the vehicle could not have been the defendant’s because it has a 4VE number plate but they were not aware of the verbal agreement between him and CCECC. He alleged Namuri knew that the people who knew about the agreement had already returned to China and he knew he will be able to get away with it. Mr Blessing said sometimes between December 2014 and March 2016, Namuri personally contacted Tafea Provincial Government (TPG) requesting a public transportation permit for the vehicle. TPG granted the permit in Namuri’s name and the vehicle was used as public transport. He said the PWD officers in Tanna were having transportation problems at the time and during one of his visits to Tanna, the PWD foreman requested a vehicle. Mr Namuri then said that he will make sure an arrangement is reached with CCECC to make sure they will provide a truck. At the time, he already took full control of the vehicle. Mr Blessing said Namuri failed to give the vehicle to PWD and used it for public transportation, enabling himself to evade the purchase price of a land cruiser at more than VT4.1 million, Customs duty of more than VT123,000, Value Added Tax at more than Vt387,000, vehicle registration and VT1,000 registration fee. He convinced a PWD driver in Port Vila to resign and took the vehicle to Tanna to drive as a transport but the truck was soon detained for outstanding road tax. In order to renew the documents, Namuri needed the registration card so he told the TPG and custom officers in Tanna that he had lost it but anyone’s help to get a new one would be appreciated. The information spread within the Public Service Commission and subsequently led to his arrest. Namuri is currently on bail awaiting his sentencing.